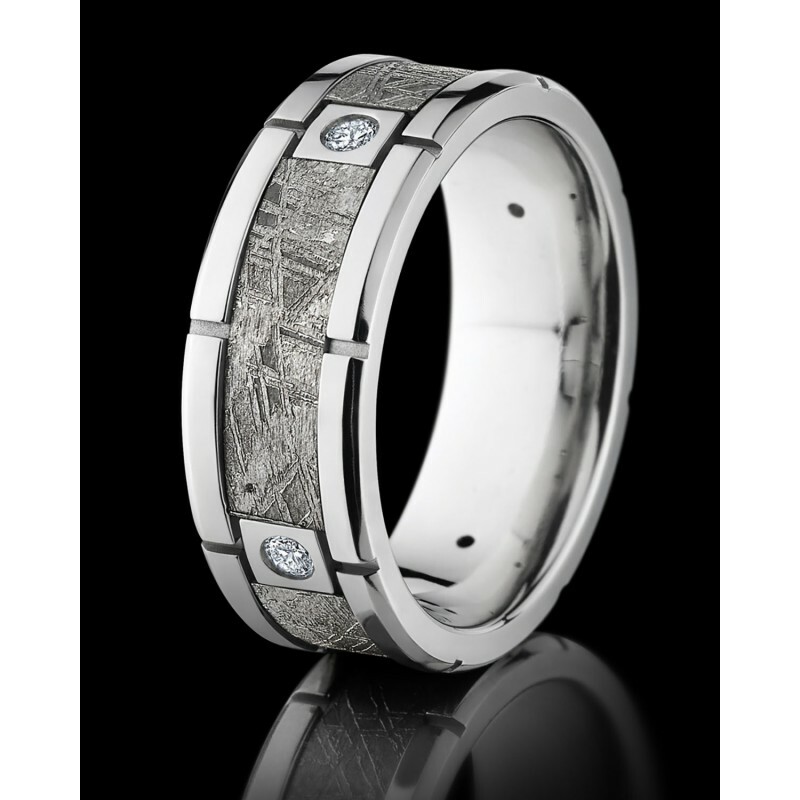 LashBrook Platinum with meteorite inlay segmented square diamond comfort fit band. 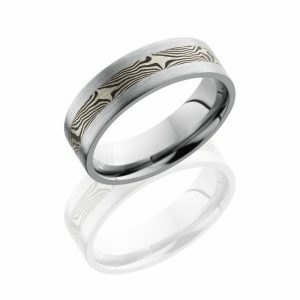 The ring is 8mm wide with four flat acid washed meteorite inlay, which runs the circumference of the ring. 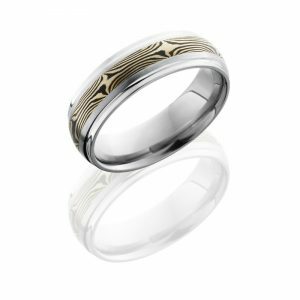 There are four equally spaced high polished platinum squares around the circumference of the ring in between the meteorite inlay. 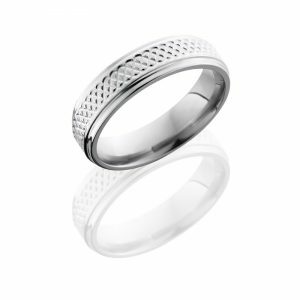 The round diamonds are bezel set within the platinum squares. 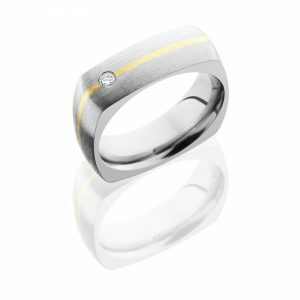 The diamond total weight is 0.28ct (0.04ct each), the diamond quality is G in color and SI1 in clarity. 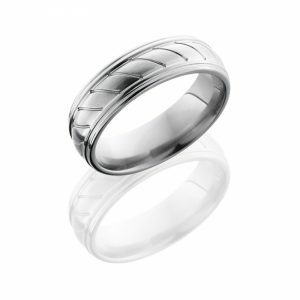 Also, the ring has a flat segmented high polished edge and heavy comfort fit. 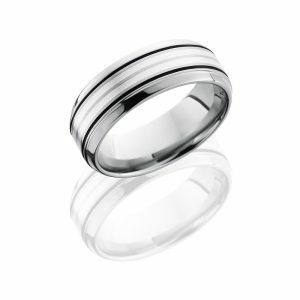 Lashbrook uses authentic Gibeon Meteorite from Namibia, Africa. Gibeon Meteorite holds a special classification as a fine octahedrite, due to the distinctive crystalline structure visible on the surface of the metal called Widmanstatten lines. 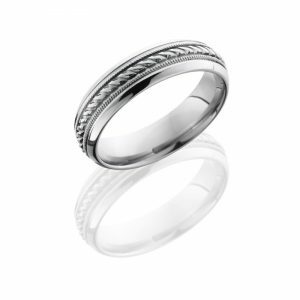 This pattern varies slightly in appearance from piece to piece and may contain natural characteristics or “inclusions” which makes every ring unique. 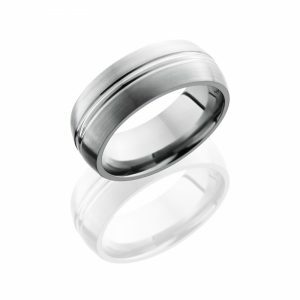 LashBrook Cobalt Chrome is a lustrous hypoallergenic metal. 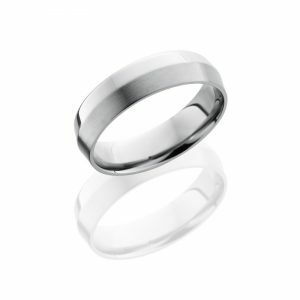 This bright white metal has a nice heft and will stand up to wear and tear. 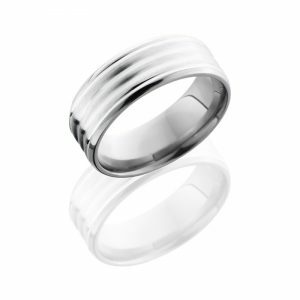 LashBrook rings are made to order and have a 2 week shipping time frame. 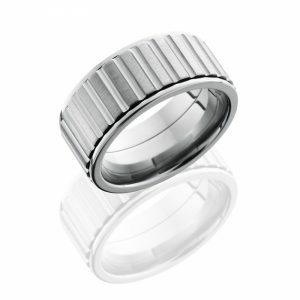 All LashBrook rings are available in custom widths, contact us for more information. 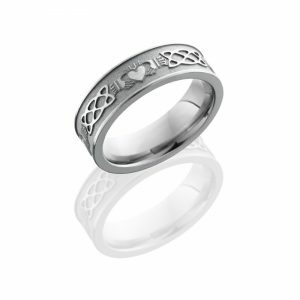 Sizes larger than 12.5, please contact us for pricing and availability.